This five bedroom home is a SHOWSTOPPER! Curb appeal galore with brick & stone elevation, pretty landscaping, front porch and small additional sitting area. This awesome floor plan offers TWO bedrooms down, beautiful formal dining, private study with french doors, lovely 2 story family room with wall of windows and open to the gourmet kitchen with extended cabinetry and built in appliances. The second bedroom down offers a private full bath. Master is a relaxing retreat with huge sitting area & luxury bath. Upstairs you’ll find a huge gameroom with built-ins, small study nook & three large bedrooms all with amazing closet space. 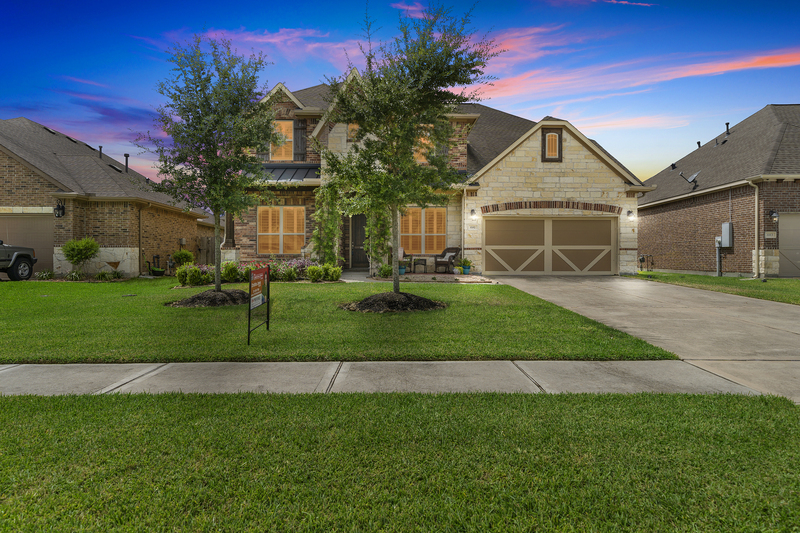 Some additional features to note are the plantation shutters throughout entire home, wood tile floors downstairs, stylish colors, ample storage space, great storage extension in garage & covered back patio…seconds from neighborhood pool & splash pad & zoned to some of the BEST schools in CCISD!